by catering to your needs all day, every day! We explain the main functionalities of SkyPrivate and how they meet your expectations. 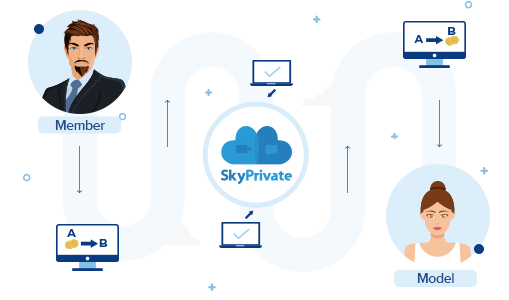 Find out how SkyPrivate works! The F.A.Q. section can answer most of the questions that you have regarding the SkyPrivate product and services..
Be a part of the SkyPrivate Discord community and keep in touch with all the news. You can also get in touch with us at support@skyprivate.com. *Please note that our response times may vary up to a maximum of 24 hours due to the number of requests. Rest assured we will render support to your issue as soon as possible.